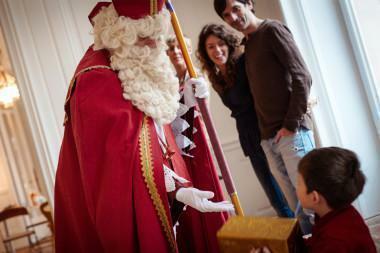 Dates, times, places, entertainment… discover the complete programme of Saint Nicholas festivities in Nancy! 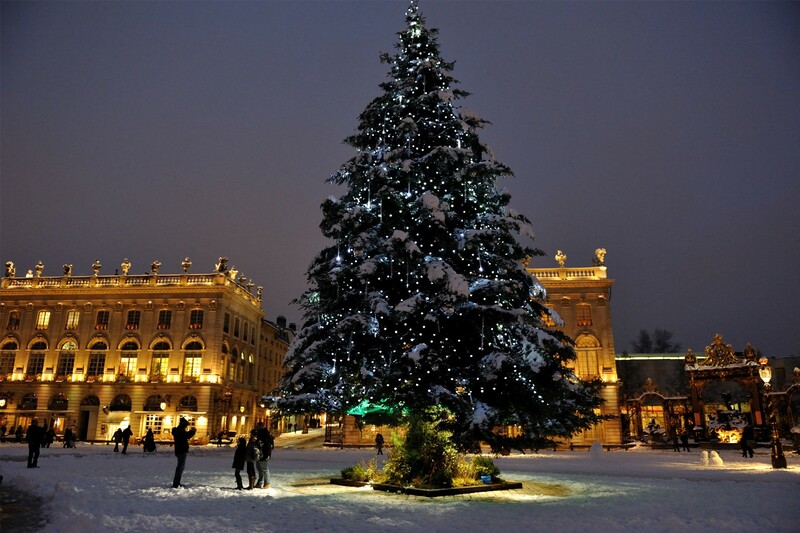 In Nancy, the legend of Saint Nicholas continues to inspire. Every December, the town of dukes stretches the imagination while joyously celebrating Lorraine’s patron saint. 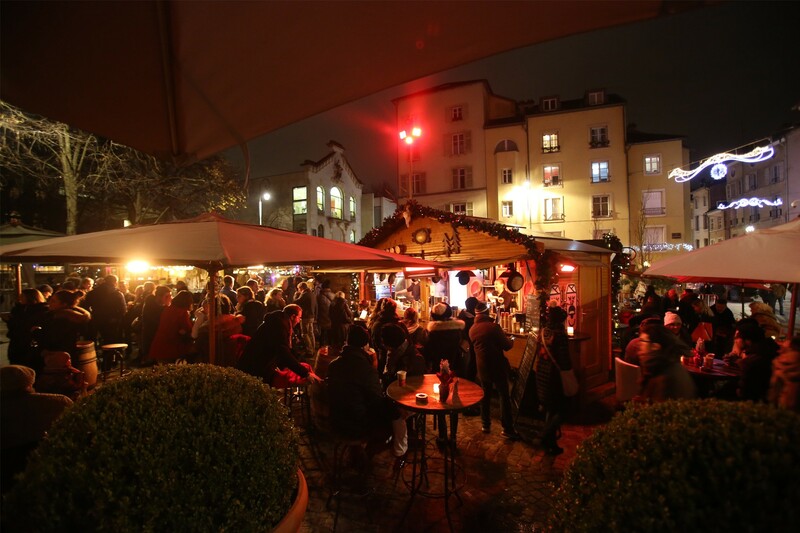 Between tradition and contemporary creations, a host of festive events enliven the illuminated squares and streets, decorated for the Christmas holidays. 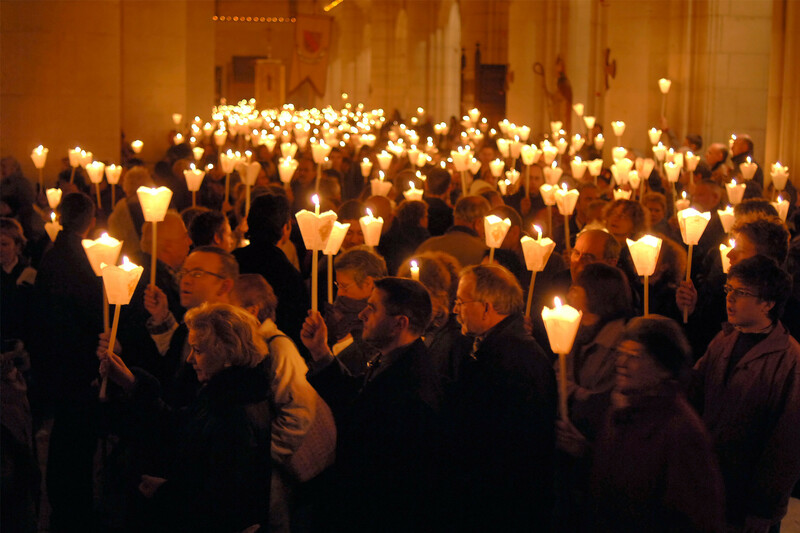 In Saint-Nicolas-de-Port, the ancestral torchlight procession makes for a timeless experience. Discover the not-to-be-missed events of a rich programme, promising enchanting pleasures and gourmet delights. 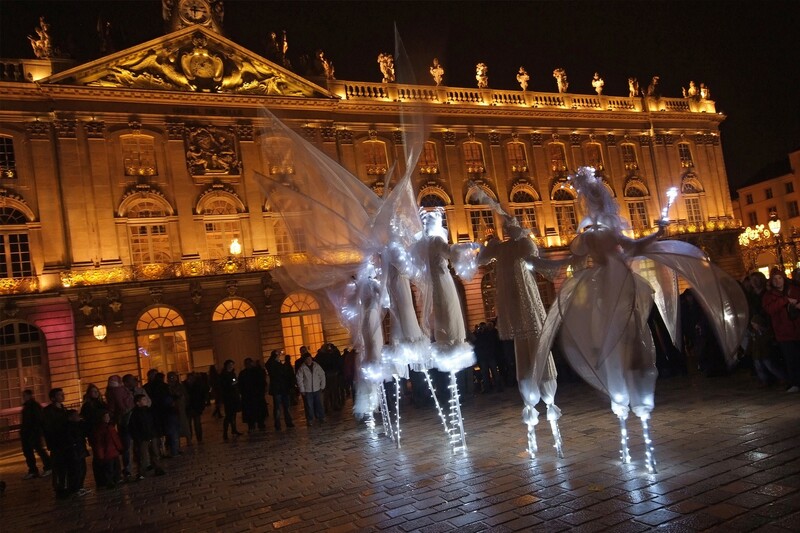 A not-to-be-missed, magical moment, the traditional Saint Nicholas parade in Nancy takes place on the first Saturday in December, featuring brass bands and costumed performers. 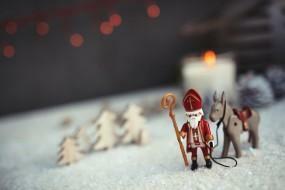 After leaving Place Carnot, the multi-coloured procession winds through the illuminated streets with Saint Nicholas handing out candy to all the good little children, alongside his counterpart, the naughty Father Whipper. At the end of the parade route, the 28 floats assemble in Place Stanislas for the presentation of the key to the city to the patron saint, with his white beard and golden mitre. Bonus: take a ride through the heart of Nancy’s festivities. Climb aboard the tourist train to fully enjoy the town’s warm atmosphere and decorations. This lively journey takes families from village to village. Place de la Carrière transforms into a playground for children through the end of the first week in January. There’s a joyous atmosphere with sweet sensations of yesteryear here at the kid’s village, surrounded by heaps of activities, wooden toys and rides from the past. 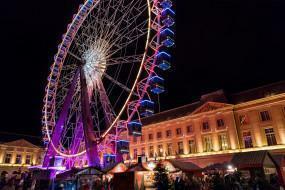 Take a seat inside a car on the big wheel and admire the stunning view of Place Stanislas from 33 metres above. Start the show! Immerse yourself in the poetic universe of this colourful and resolutely modern projection created for the Saint Nicholas Festival. Through the beginning of January, the legend of Lorraine’s patron saint comes to life several times a day on the sumptuous facade of Nancy’s city hall. 8 minutes of pure delight to share as a family. The great Saint-Nicolas-de-Port Basilica brings together a multitude of visitors every year to pay homage to Saint Nicholas, a tradition that dates to 1245. The ancestral torchlight procession, coming up on its 775th edition, takes place on the Saturday closest to 6 December at 7:30 p.m. in the basilica, illuminated with 1000 candles. Bonus: the Nancy tourist office organises a shuttle to Saint-Nicolas-de-Port for the event. 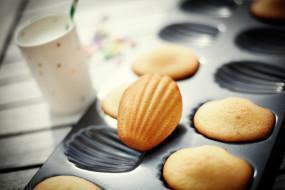 As Nancy comes alive to celebrate the patron saint, the window displays fill with specialties to enjoy. Delicious traditional gingerbread in the shape of Saint Nicholas from La Maison des Sœurs Macarons are a delight, as are the crunchy little statues of the saint covered in fruit (almond, passion fruit, strawberry) from Le Petit Atelier. 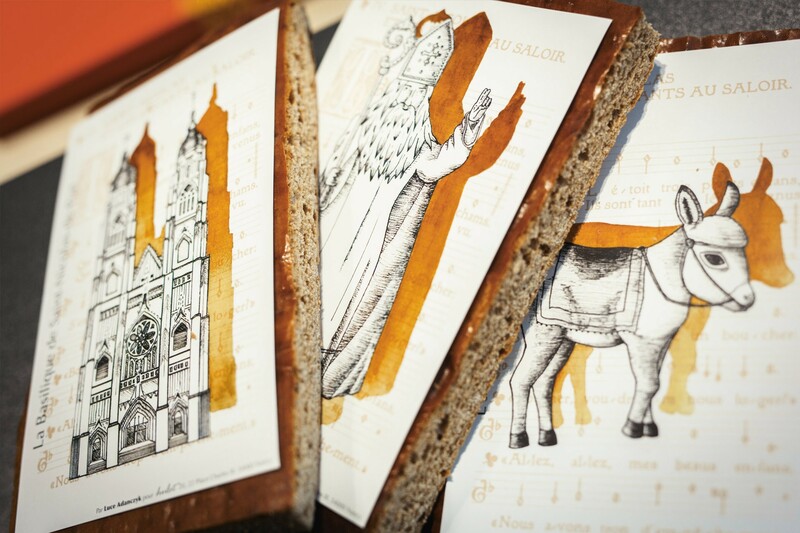 Chocolate fans head to the Hulot pastry shop to savour Saint Nicholas-shaped chocolate bars, alongside the famous gingerbread that takes 3 months to prepare. In Metz, Épinal, Remiremont, Plombières-les-Bains, Bar-le-Duc… between parades, processions and performances, Saint Nicholas is celebrated all around Lorraine!